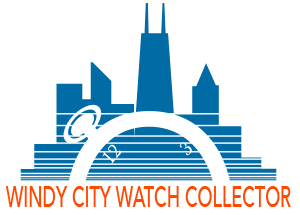 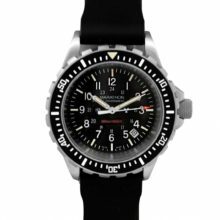 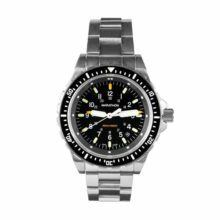 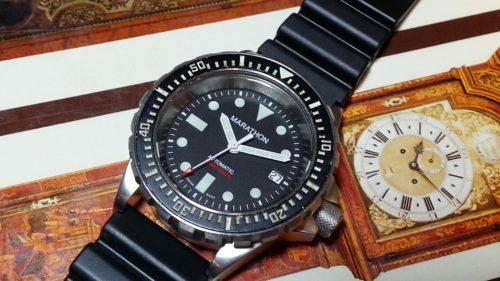 Original Search and Rescue (SAR) Military Watch with US Government dial: Here is an original SAR watch made by Marathon Watch Company in 2004! 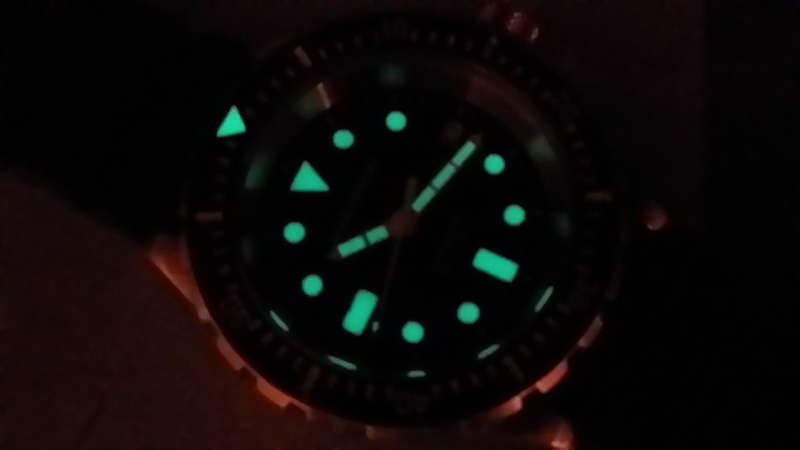 These original SARs with the Luminova glow are very popular with collectors and enthusiasts. 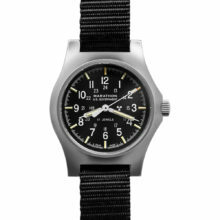 Original Search and Rescue (SAR) Military Watch with US Government dial: Here is an original SAR watch made by Marathon Watch Company in 2004! 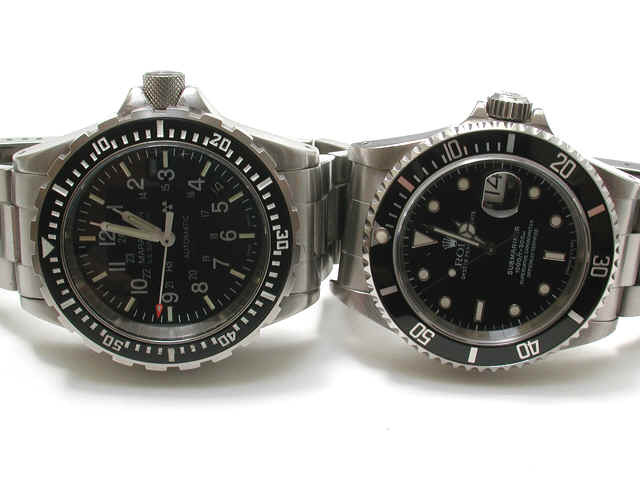 This is the original SAR which was rated for 1000 foot submersion. 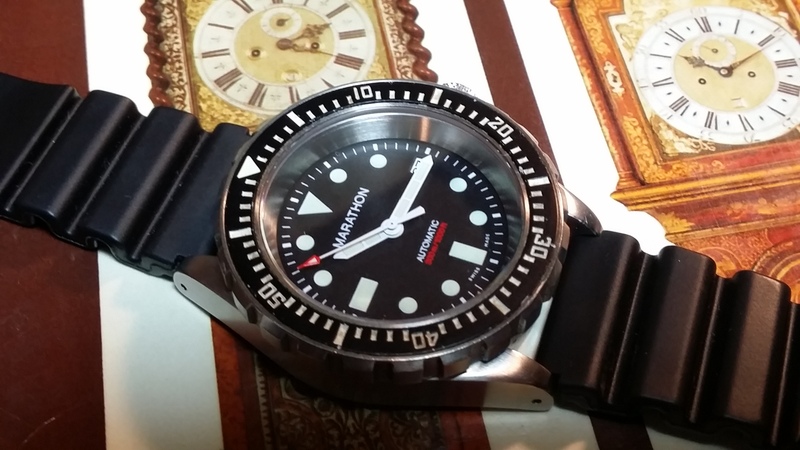 It is a nice sized watch. 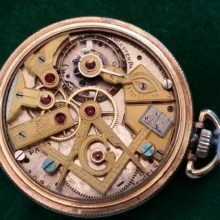 The movement is an ETA 2824-A2. 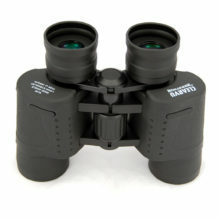 The crystal is sapphire – 2.8mm thick x 30.50mm diameter. 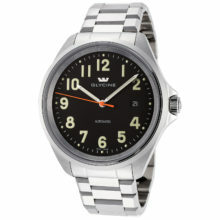 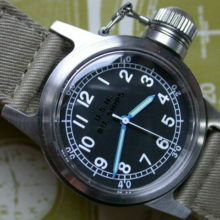 The case is cut from solid 316L stainless steel and is approximately 46.0mm in diameter. 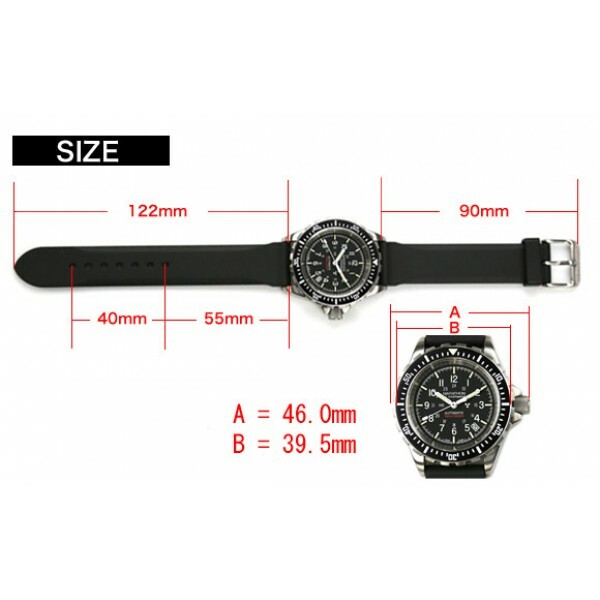 The unidirectional bezel diameter is 41.10mm and case height is 13.85mm. 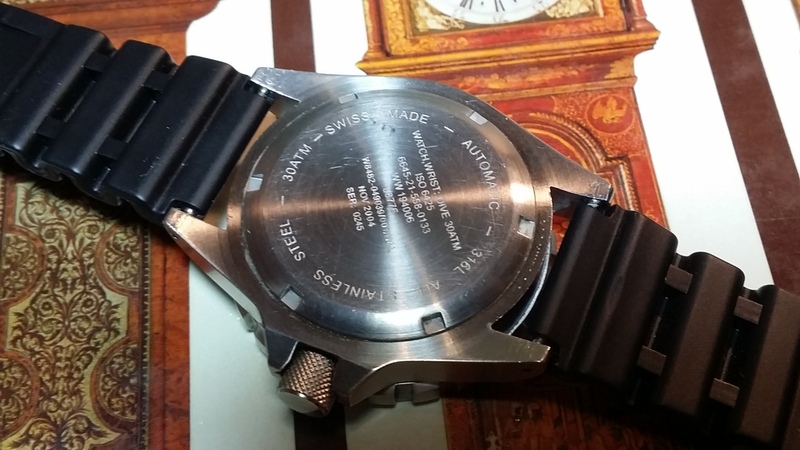 The steel back has full military markings. 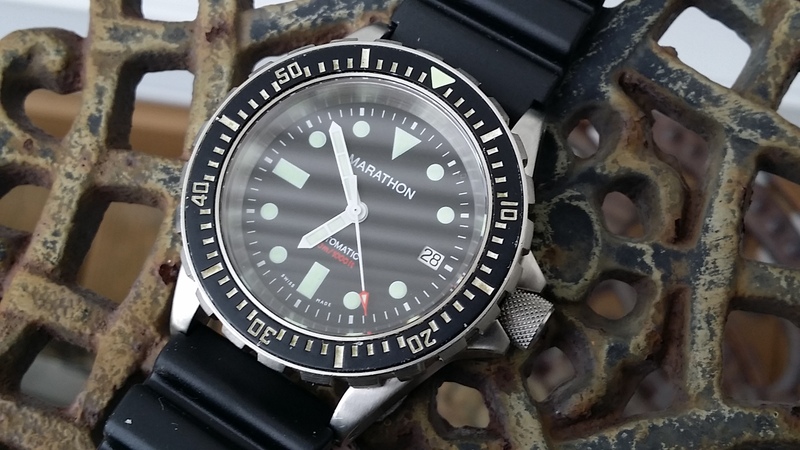 Screw down crown is deep knurled. 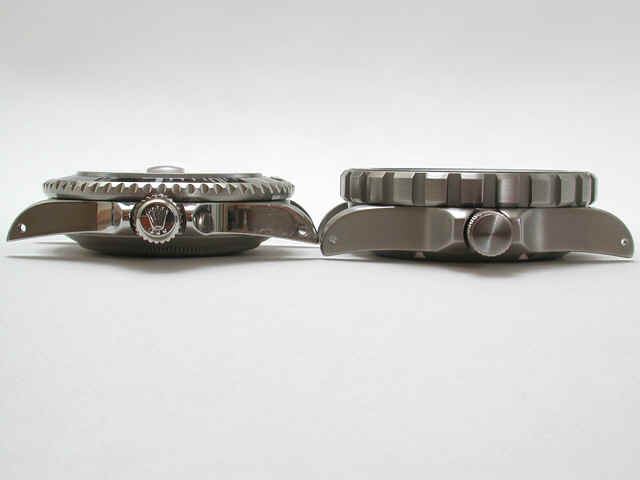 The total weight of the watch head is 93.1 grams. 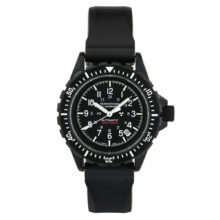 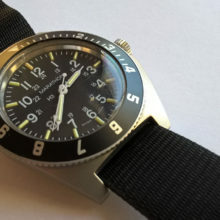 Supplied with black 20mm rubber strap (later addition). 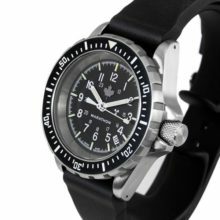 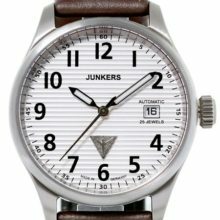 The watch features an ETA 2824-A2 engraved with Marathon Watch Co. and an improved 120 click uni-directional rotating bezel. 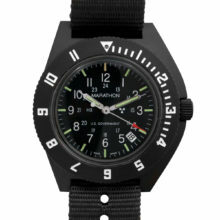 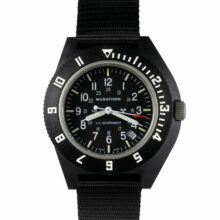 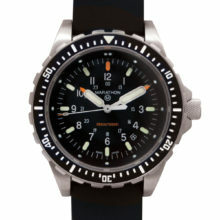 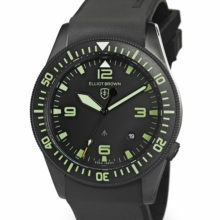 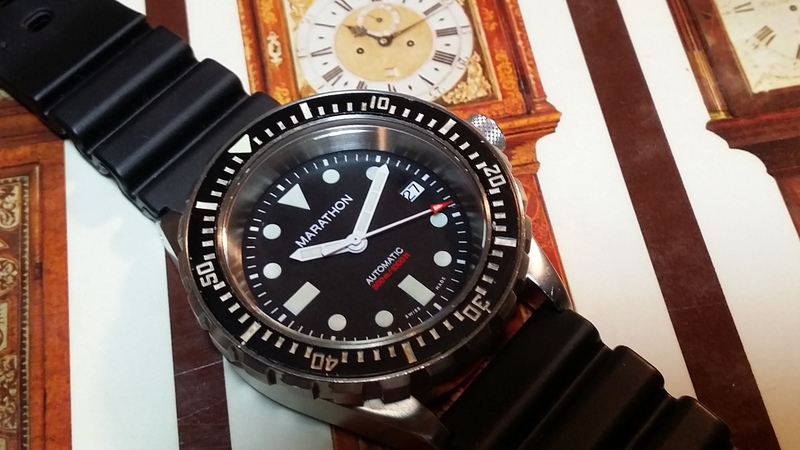 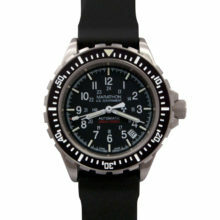 Nice example of first type of SAR watch made by Marathon!